 On this week’s 2-Minute Tuesday, Austin sits down with Kip Meierhofer of Dogtopia to talk about dogs, doggy daycare, and the importance of pet adoption. Watch it here or check out the full transcript below! Austin: Austin here with Tour Collierville, and I’m here today for 2-Minute Tuesday with Kipp Meierhoffer, and he’s the coowner of Dogtopia. So, Kipp, thanks for coming in. Kip: Yeah. Thanks for having me. It’s nice to visit here. Austin: So, I guess let’s start off, maybe, if you want to give our viewers a little bit of info about yourself. Where are you from? That sort of thing. Kip: Sure. Well to start, I’m here representing Dogtopia. The other important owner, my wife, is working at Hunter Fan today. I always call her the Chairman of the Board. I’m the President of the Dogtopia. I work for her in this operation. Austin: How long have you been in the business, I guess, of dog daycare? At Dogtopia, we know you do dog daycare, but how long have you been in this business? Kip: Well I guess that depends on how you define “the business.” I’ve been in dog daycare my whole life. I’ve always had dogs. I think I had a little break in college, but other than that, always dogs. But I didn’t start in dog daycare as a profession. In fact, for 25 years, I was in IT. Austin: Oh yeah? I didn’t know that. Kip: Yeah. It’s quite a difference. But it was time for a change. Austin: And where was that? Austin: Milwaukee. And is that where you’re from? Kipp: Yeah, well, I went to… In Milwaukee, Wisconsin—I grew up in Wisconsin, Ripon, Wisconsin. Went to college in Oclare, Wisconsin. Met my wife in Wisconsin. And spent 25 years building a career there. Austin: So did ya’ll move straight to Collierville? Or did you spend some time in some different areas around here? Kip: No, right to Collierville. I mean, just like with all of our moves, kind of our first question is “Where are the good schools? Where’s a good community? A safe community?” We got word from the people at Hunter Fan that you really wanted to check out Collierville. Austin: So how long ago was that? That you moved here? Kip: About two years ago, we moved into some temporary housing and then built a house. Austin: Okay, cool. And how long as Dogtopia been around? It’s not been too long, I know. Kip: No, not a year yet. We opened our doors in May after quite a long process of getting it open. But it’s been worth it, and it’s been a lot of fun. Austin: So do you like your location behind the Collierville mall? You’re around a good bit of up-and-coming stuff. A lot at the mall, too. Kipp: There really is a lot to like about it. I think from our customers’ perspective—I was talking to some customers today about, “How do you like the location?” They say it’s real convenient there. I like it cause it’s right next to Petco, so there’s dogs walking all day long there seeing us. So I’d say it’s convenient, it’s nice, great parking. Urban Air just opened up next door to us, so that’s bringing in a lot of people to check us out. Petco brings in a lot of people to check us out, so. Austin: Well, can you tell me a little bit about… You know, obviously you said doggy daycare… I know ya’ll offer some other services. So can you kind of tell us a little bit about that? Kip: Sure. We do boarding and spa. So, spa means baths, ears, nails, brush outs… We don’t do the haircuts; that’s a whole different business. Maybe someday. So, we start off always saying day care, I say most of the time, because if you board with us, you get the day care. Austin: Is that just—the difference between boarding and daycare—is that just when they stay overnight? Kip: Yeah. But our place is really designed for dogs being out and socializing and exercising in a really safe environment. Austin: So big playrooms and stuff? Kip: Big playrooms, indoor and outdoor. Yeah, so, it’s more often that the dogs are out playing. They play for ten hours a day by us. Austin: That’s awesome. I’m sure the owners enjoy that. They’re coming home tired and nap. Kipp: A lot of times, the owners will send pictures from the parking lot of their dog crashing in the car as soon as they get in. Kip: Yeah, they’re pooped out when they get home. Austin: Yeah, ten hours is a long time to play. Kip: It is. It is. Austin: So yeah, if you could kind of give me a rundown. What is a day in the life of a dog at Dogtopia? If you can, kind of walk me through it. Austin: It’s kind of like dropping your kid off at school for their first day or something. It’s different type deal. Kip: Yeah. And if you think about it, there’s a parent perspective and a dog perspective. And for a lot of people, the first day is stressful. So a lot of our job is to recognize that. This is hard for the parent, this is hard for some dogs. Austin: It’s kind of like a social experiment, you know? How’s my dog going to react to the other dogs? Are they going to get along? Are they going to play? Is my dog going to be the loner? I’m sure there’s a lot of that kind of anxiety. If you’ve never, you know, taken your dog to daycare or boarded your dog, I guess. Austin: Do you get a lot of dogs—like, for me, my dog came from the shelter, and so sometimes I’ll get a little worried about dropping her off somewhere again. I don’t want to trigger any of that anxiety or what have you. Do you see a lot of dogs that come into doggy daycare from, you know, being in the shelter previously? Kip: Yeah, we get a lot of shelter dogs. There’s a lot of great pet parents that are adopting dogs. It’s outstanding. Austin: That’s awesome to hear. Kip: And we get that some dog day cares don’t take Pit Bulls. We do, because any dog breed, there’s a potential issue with. And most dog breeds in dogs are fine. But for all dogs, safety is our number one concern for dogs that are already there and for new dogs coming in. So, we have a process—a thorough process—that we introduce the dogs through. And then we also keep track of dogs and know that if you as a dog have an issue with another dog, well maybe we have to keep you in different rooms. Or, if you need a slower introduction when you come in, then we have to give you a slower introduction. But it’s safety first, so we figure out what room you’re most comfortable to play in for a safe purpose and then who your buddies can be. You know, for 85 – 90% of the dogs, I’d say it’s more about stress. For a few dogs, when it turns into a safety issue, it can’t be a safety issue, so we have to figure out something else. Whether a trainer has to be involved to get over that or something else. Austin: You know, you kind of hit on it already, the kind of safety stuff… You know, my dog gets hair everywhere. So, I’m just curious: How do you keep a place like that clean with all those dogs. Kip: You should have been there yesterday. Austin: (laughs) Was cleaning day yesterday? Kip: We had three Huskies there, and I told their owner, “Every time you bring them in, we’re brushing them.” Because they come into the room, and it’s just hair everywhere. So some dogs are really great at shedding a lot, and that makes it quite a job. But I tell the people that come to work for us, you know… One, you have to love dogs, and you’ve got to be confident to manage dogs; but Two, you’ve got to love cleaning. But this job is half cleaning and half taking care of dogs. Kip: You know, just from a safety perspective, you’ve got to disinfect multiple times a day. You’ve got to clean up any kind of pee and poo and other stuff that happens. Austin: I mean, that just happens. It sounds like there’s a lot to it, you know? You think it’s just a place to drop your dog off, but you’ve gotta know a lot of stuff. Kip: That’s why I got into franchises. I didn’t want to learn all this stuff from scratch. But I did want to have a great product and a safe product to have for pet parents to bring their dogs to. Austin: I guess we’ve learned a lot, but I’ll open the floor if there’s anything that you want our viewers to know about Dogtopia that maybe we haven’t talked about yet. Austin: I’m going through that right now. Kip: So it’s an opportunity on a regular basis to get your dog that exercise. And we have—Dogtopia has—a lot of things that are different than a whole lot of places. I mean, we’ve got walls that go all the way up to the ceiling, so it’s quieter than most dog places. We have air conditioners that are always set to 68 degrees. Heat. And each room is separated with the air flows, so if we were to have any kind of bad bacteria in the air, we contain it from one room. And every room has its own UV lights that sterilize any kind of bad bacteria. Austin: That sounds like pretty advanced stuff to me. Austin: I wouldn’t have even thought about it. Austin: Well, there’s one other thing I would like to throw in, and that’s that Dogtopia here in Collierville absolutely supports adopting dogs from the shelter. And remind me: You’ve got a deal worked out with the animal shelter—if you adopt a dog, you get a free trial of daycare? Is that right? Kip: Yeah, you know, I encourage it as much as I can. If somebody were to say, “If I adopt this dog, can I have two weeks?” I’d be like, “Yeah! Yes! Adopt the dog! We need our dogs adopted.” Yeah, we definitely want to help them promote dog adoptions. If dog rescues are raising money for anything, I’d love to offer a month of daycare as a raffle, a silent auction item. Yeah, we do a lot to help—we want to help—rescue dogs. It’s just once you get into this business and you see all the dogs that are out there for adoption, it’s heartbreaking. Austin: I’m sure you hear all kinds of stories. It is heartbreaking. And you know, seeing a dog lying on the side of the street or something… everybody wants to stop, you know? And do something. It’s definitely something that we need to do. Kip: There’s a lot of dogs, for sure. So we actually have a dog periodically at our facility that we’re kind of fostering for a little bit. We have one right now, and she’s just a sweetheart. Austin: Did she just show up? Kip: No, we talked to Fayette County Animal Rescue. Yeah, they bring a dog out periodically to get socialized a little bit. So we like to help get them socialized and show how they can play with other dogs and they’re safe with other dogs. It builds up a little bit of a resume for them. Austin: Right. Yeah. Well, really cool. Really cool. Well, Kipp, I appreciate you coming in. And thanks for letting us know a little bit more about Dogtopia. Kip: Yeah, thanks for having me, Austin. I appreciate it.